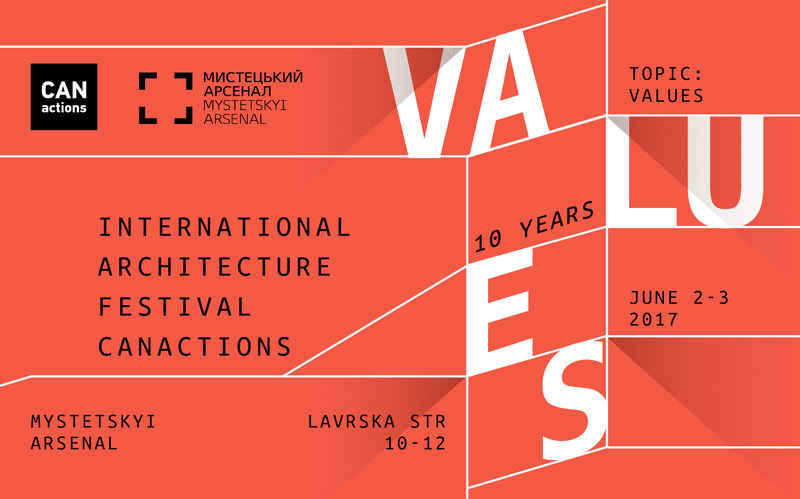 International Architecture Festival CANactions will be held in Kiev on the 2-3 of June at Mystetskyi Arsenal. The theme of the jubilee Festival is VALUES. Special guests of the Festival are the world’s leading architects such as Florian Idenburg , Martin Rein-Cano and Hans van der Heijden who will hold the lectures for a wide audience. International Architectural Festival CANactions is the largest architectural event in Ukraine which was established in 2008. During the 10 years history 120 speakers and more than 36 000 visitors from all over the world participated in the Festival. 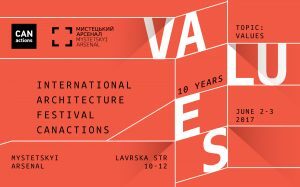 The goal of the 10th Festival is to discuss the values in the fields of architecture, urbanism and life in general. The CANactions team seeks to create the conditions for the ideas exchange and dialogue providing in the sphere of modern architecture. In the Festival framework guests will have the opportunity to observe the exhibitions and young architects’ presentations, to participate in discussions and workshops. In addition to these offers, there will be organized special separated kids playgroung. The participation in the Festival have already approved Martin Rein-Cano, who is the founder of TOPOTEK 1 ( Berlin, Germany ) and in 2013 has received a gold medal from the International Olympic Committee for the project Superkilen in Copenhagen, Hans van der Heijden – the partner of the Hans van der Heijden Architect ( Amsterdam, Netherlands ), author of books and essays on urban design, professor of the University of Cambridge, Florian Idenburg , the principal of the architecture bureau SO – IL, who led the design teams of the glass pavilion in Toledo, Ohaio and the New Museum of Modern Art in New York. They will hold lectures on the main stage of the Festival for all the guests. Moreover, various master-classes will be held during the Festival. They are “Sound Sculpture” by Wendy Anderson who is the curator of the University of Arts in London (UAL), “Situation eVALUEtion” provided by Grisha Zotov who is the principal of the architectural bureau “Architectural prescription” which is based in Amsterdam. Another guest of the Festival – Jord den Hollander just on the eve of the Festival will lead the workshop ‘Cycling Cities Kyiv’, that will establish the opportunity to compare the cycling conditions in different cities around the world. The project Is already hosted in Amsterdam, Beijing, Budapest, Milan, Havana, Mexico city, Taipei and Tirana and is now being held in Kiev. And the biggest international interdisciplinary workshop “Mystetskyi Arsenal:Spatial development scenarios” will be held on the May, 29 – June, 3 up to the Festival opening. The outcomes of the workshop will be presented at the Festival. The organizer of the Festival is CANactions – educational platform that promotes the creation of places and communities in Ukraine where people would rather live and work. The co-organizer of the 10th International Architecture Festival is the National Cultural and Art Museum complex “Mystetskyi Arsenal”.